Installing Android on Linux PC - This post will tell you about guide to install android on linux pc. There'e an options that we can choose to install it, likes using android sdk, genomotion and bluestack when you are windows users. 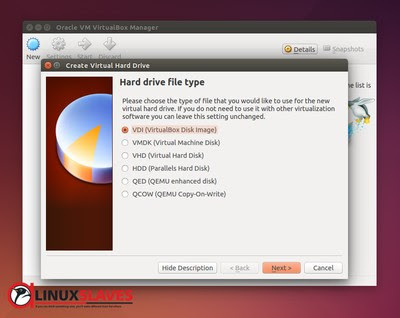 In this tutorials, we'll use virtualbox as media to create a virtual machine. Basically genomotion has virtualbox too, but in this case we didn't need genomotion at all. 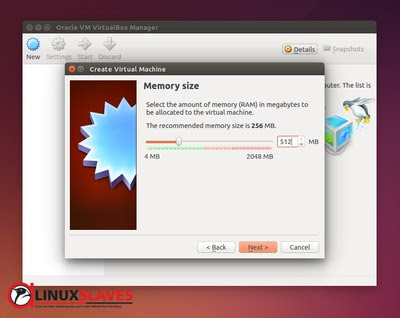 Step 3 - At memory size window fill with amount of memory RAM will allocaed to the virtual machine. Recomended minimum size is 512MB. You can fill with higher size if you have a huge RAM size in your machine. Step 6 - Choose Dinamical Allocated. 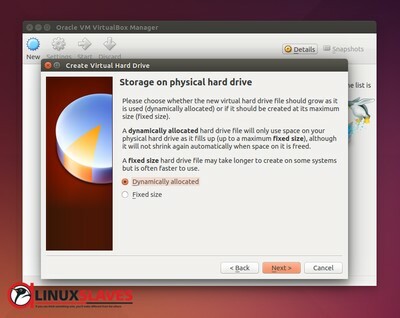 It will only use space on your physical hard drive drive. Step 7 - Next step, enter size of virtual hard drive. We can fill with 8 GB. 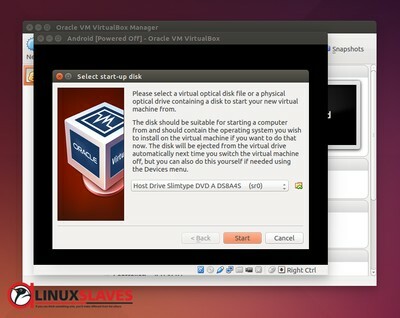 Click create to finish setting up virtual machine. Step 9 - In this step we'll see options. You can run it without install by choose top options. To install choose Installation Step - Install Android-x86 to harddisk. Step 12 - Give it part type, we can use Primary. Cancel to back previous steps. Step 15 - Choose write then type yes to confirm write the partition. You can close after fisnished the installation. Go to Setting and please remove android.iso. If you're not, it will always boot from the images. Start Android virtual macine to check the result. And cheers, now you have android run on your Linux. That's my android when running on my Ubuntu 14.04 which Gnome classic. Read Install Gnome Classic Desktop on Unity Ubuntu. So that's all I can write about How to Install And Run Android on Linux. Hope you've enjoyed reading this tutorial as much I’ve enjoyed writing it. Thanks for visiting us.